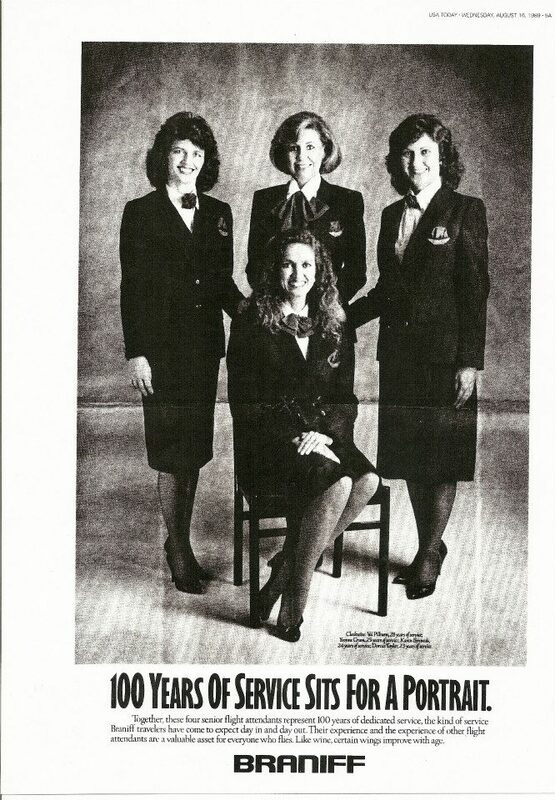 Crum joined Braniff Airlines as a flight attendant in 1964 and retired in 2010 from American Airlines. Her many flights through the friendly skies will live on in infamy as a member of the Flight Attendants Hall of Fame. After a successful battle with breast cancer, this survivor was determined to make the world a better place. She has lent her fundraising, organizing and motivational skills to many causes in Dallas, serving on boards, chairing luncheons, dinners and galas including Dallas Children's Theater, Mental Health Association, Dallas Summer Musicals, Texas Film Commission, Nexus Recovery Center, National Women's Board, Dallas Museum of Art, Northwood University and the DIFFA Style Council and all totalling over $8 Million in her career. She has been honored with The Distinguished Woman Award from Northwood University in 2001, the Dallas Historical Society award for Excellence in Volunteering in 2006 and in 2009 she was named Woman of the Year by Les Femmes du Monde. Yvonne received the most prestigious Honorary Doctorate from Northwood University 2009 and most recently was named Mother of the Year for 2013 by Dallas Can! Academy. Whew. I'm exhausted just typing all of these accolades and efforts out. Can you imagine doing all this stuff?! 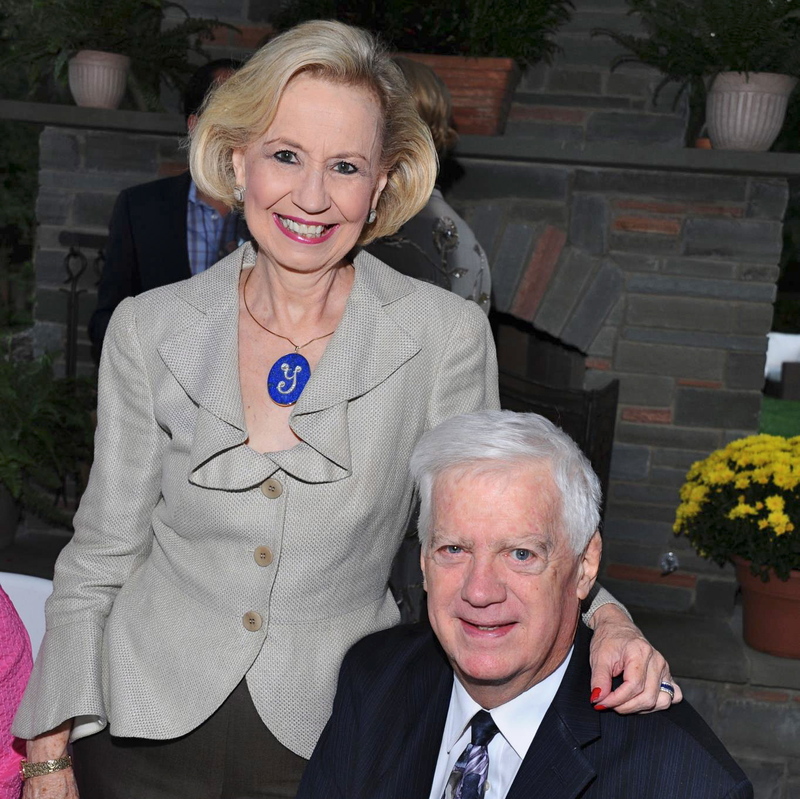 Few charitable causes delight her more than her work with the Women's Council of the Dallas Arboretum and Botanical Garden. She chaired its Gatsby Gala but it's the annual Mad Hatter's Tea Party which she eagerly awaits and plans for each spring. She has chaired the fundraiser and headed virtually every committee. 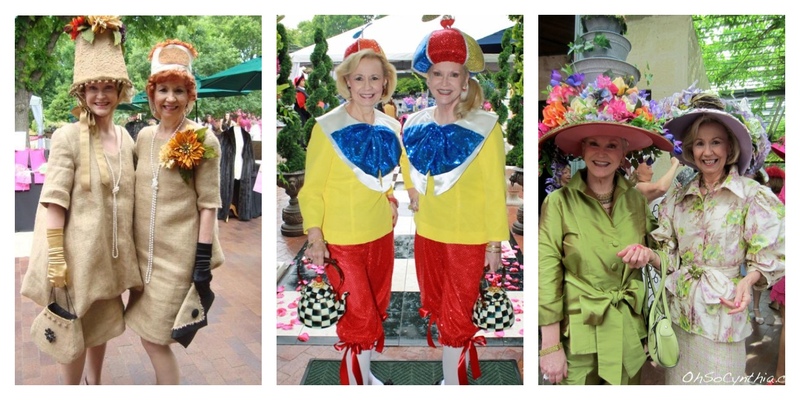 Her bestie of many years is Jill Rowlett and the two spend hours planning out their themed outfits for the event. From Lucy & Ethel to Tweedle Dee & Tweedle Dum these two go ALL OUT and almost always take home an award for their efforts. These days, it's her 5 year old grand-daughter, Samantha Crum, that's the light of her life. I asked Yvonne what she and Sam enjoy doing most together. 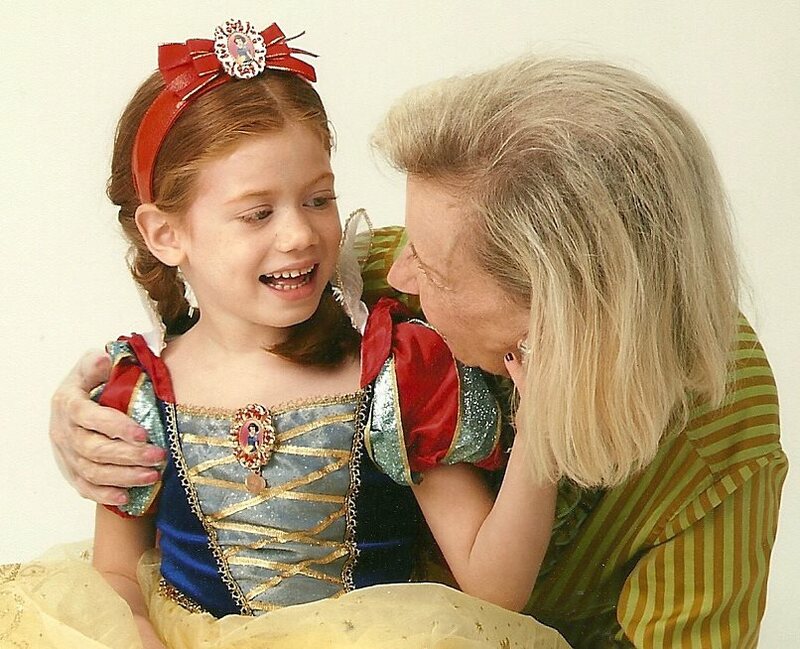 "Dallas Children's Theater, in my opinion, is a magical place and even more so with Samantha," says Crum. "Now don't laugh but we also love Grapevine Mills. We can stay there for 3 hours and never go in a store: The Carousel, Legoland, The Aquarium and riding the train - she never tires of it! I also love taking her to the new Klyde Warren Park. It is a Grandparents dream." After the death of her oldest son, Yvonne sought a way to bring attention and understanding to the usually taboo subject of suicide. Through the Suicide and Crisis Center Fresh Faces of Fashion program, she paired the unlikely topics of suicide and fashion together and created an annual event in partnership with Modern Luxury, Stanley Korshak and Park Place Motorcars that has raised more than $1 million in its first five years. Look for something new from Crum in 2014. She explains, "I am rebranding the concept calling it "Fashion Stars for a Cause". It will be an annual event with seated dinner and fashion themed with a big focus on the cause of suicide prevention and how it has an impact in the coummunity. One of the big changes is that we will be having small luncheon get togethers with the Fashion Stars, inviting guests that want to hear more about the cause and tour the center. Final plans will be announced in November with the announcement of the Fashion Stars." Q: What's your favorite Dallas festival? Q: What do you think makes Dallas such a great place to live, work and raise a family? A: Affordable housing, such a diverse city with many opportunities in so many fields of employment and raising a family has so many pluses with the Arts, Theater and the Non Profit world as a teaching tool for the whole family. Q: Tell me something about you that most people don't know. A: I cannot carry a tune and I cannot swim. In the 1950's Dean Martin sang, "You're nobody till somebody loves you. You're nobody till somebody cares." That's not only true for your love life, but in Dallas society as well. Yvonne was one of the first "society" people I met when I decided to start covering the scene a few years ago and she embraced me right off the bat and made it her mission to trot me about at parties and introduce me to all of her friends. Her stamp of approval gave me a lot of credibility and made others more comfortable opening up to me. Her warmth and willingness to support others is one of the qualities that makes her so beloved in our community and I am lucky to call her a friend. I hope that you have enjoyed getting to know this force a nature a bit better through this article. Learn more about Yvonne's many contributions to our city by visiting her bio page at Women That Soar.